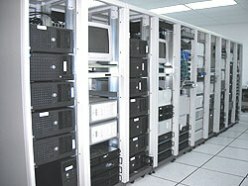 First Place Web Host has been hosting web sites and registering domain names since 1996. Serving the state of Missouri, including St. Louis, Branson, Kansas City, and St. Charles, we host some of the most visited sites on the Internet and have been growing at an astounding rate since our inception. We heavily invest in our infrastructure to ensure that we provide top notch service for our business clients.